If we are learning English in your daily life, and using English in your jobs as typing in working job. Therefore you are not writing well in English thus you are not satisfaction in jobs. Hence you are losing your motivation to do person job fit. But Don't worry, after you had install this application in your smartphone, you can learn what is writing of English language therefore you will understand it. There are only three basic tenses in the English language: the past, the present, and the future. The future tense is used for anything that will happen at some point later than right now. Of course, if it were that simple, you wouldn’t be reading this guide! These tenses have a few variations that make them more specific. These variations talk about the exact time during which actions happen. 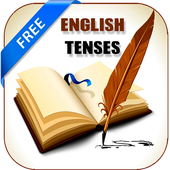 0 Comment to "English Tense Application Version 1.0.2 For Android"